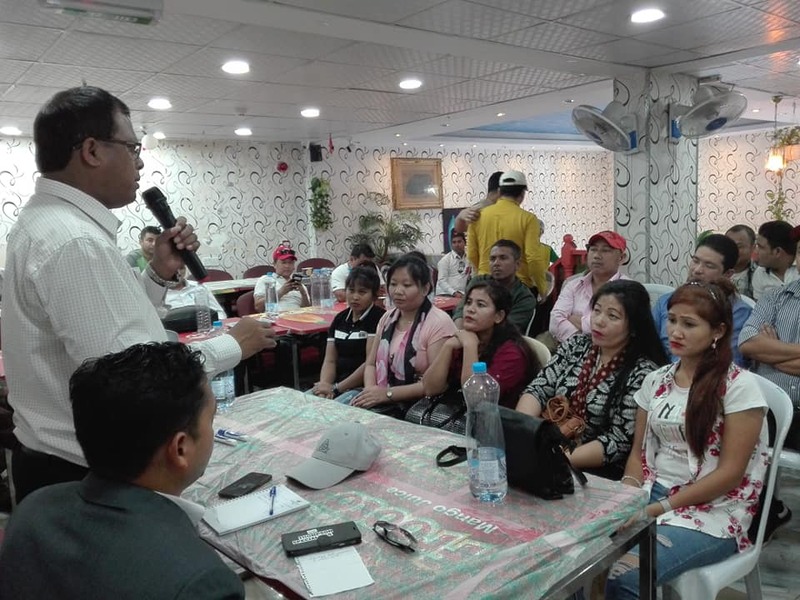 GEFONT Support Group of Qatar (GSG Qatar) has organised Gathering of Nepali Migrant workers in Doha, Qatar. During the program Chief Guest GEFONT Secretary General Janak Chaudhari briefed about GEFONT initiation on Safe migration and Organising in destination countries. He said “Unity of the workers can make difference in working place in destination counties. He has shared many countries GSG’s examples” He further added, we can see the different in Qatar now and then, not only in destination country our continue effort making different to protect the rights of Migrant workers.